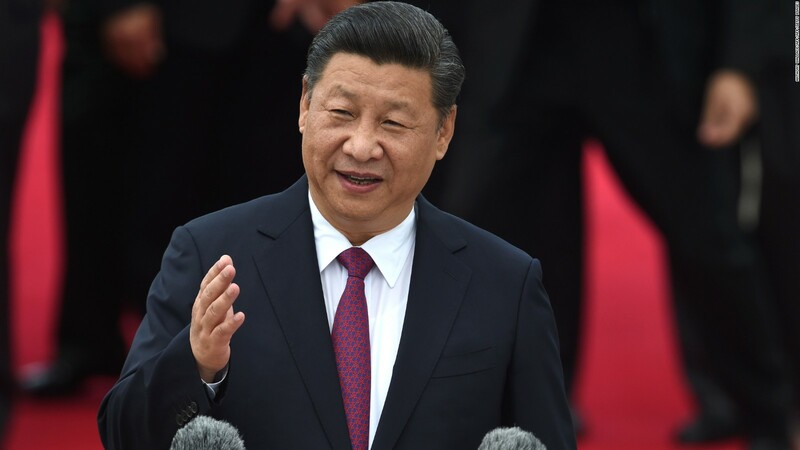 Chinese President Xi Jinping has again promised greater market access to foreign investors to shore up confidence in his country amid louder complaints from Washington to Brussels about Beijing’s protectionism. In his marathon speech at the start of the Communist Party’s twice-a-decade national congress on Wednesday, Xi said China would significantly lower the threshold for entrance to China’s markets, protect the legal interests of foreign businesses in China, and treat locally registered companies in an equal and fair way. Xi has made similar pledges at other conferences and forums, and the commitments this time in his most important political speech so far suggests the ruling party and the state apparatus will take them more seriously. China has already taken some steps to open its market wider to foreign players. Beijing has promised to let US credit rating agencies do businesses on their own in China and lift the ceiling for foreign holdings in financial joint ventures. It might also allow foreign electric-vehicle makers such as Tesla to set up wholly owned factories in China. At the same time, US and European mistrust of Beijing’s promises persists. Last month US Commerce Secretary Wilbur Ross publicly urged Beijing to “guarantee fair and reciprocal treatment for US firms”. The European Union Chamber of Commerce in China also said in August that Beijing must take concrete steps to give fair market access to foreign firms. In response to Xi’s speech, chamber chairman Mats Harborn said words should be followed by action. “When met with repeated promises, we can only deliver a familiar response: while it is positive that market opening and creating a level playing field remain on China’s agenda, we now expect the authorities to begin the process of implementing policies that will lead to necessary improvements, both for business and China as a whole,” Harborn said. Other concerns for the foreign business community include China’s boycott of South Korean firms in response to Seoul’s decision to go ahead with a US anti-missile system, pressure on overseas companies to hand over trade secrets, and Beijing’s demands that foreign firms set up computer servers in China. Those concerns have been reflected in part in China’s foreign direct investment inflows which have stagnated at about US$120 billion a year, with the lion’s share coming from Hong Kong. The president’s pledges to business were a small part of his 3½-hour speech, which was based on the idea of making China a “great modern socialist country” under one-party rule by 2050. Xi said China would push ahead with its “Belt and Road Initiative”, a drive to promote China’s offshore influence through trade and investment. Xi also said China would continue to promote liberalisation of trade and investment to create an “open and inclusive” global economic system. In a broad reference to the Chinese economy, Xi said China would pursue quality and efficiency in growth but made no mention of the national growth rate. Louis Kuijs, head of Asia economics at Oxford Economics, said many “would feel it is hard to square the commitment to opening up and to levelling the playing field on one hand with the approach to strengthen the link of state-owned enterprises to make it stronger and dominant”. Larry Hu, head of greater China economics at Macquarie Capital, said that under Xi in the coming years China might tolerate “another leg down” in economic growth in return for fixing structural problems and making growth more sustainable.